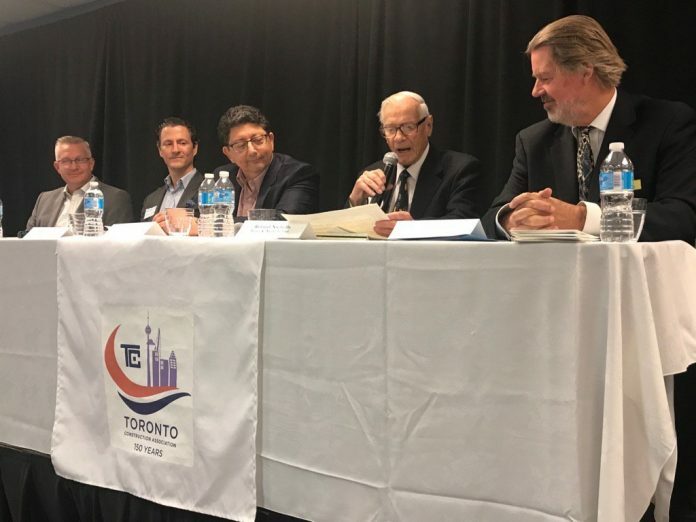 Toronto Construction Association (TCA) members at the annual spring Members’ Day open house in May were invited to a panel discussion about the industry’s past, present and future. Panelists included: Roland Nicholls – president, Milne & Nicholls Ltd.; Frank Decaria – president and CEO, Eastern Construction; Marcus Gillam – president, Gillam Group Inc.; Markku Allison – director of engagement and innovation, Chandos Construction and president, Integrated Project Delivery Alliance (IPDA). Nicholls, who started working in the construction industry in 1948, observed how the Toronto Construction Association, came to be. He mentioned that in the 1850’s the association was called the General Builder’s Society, which had about 50 members. In 1952 the name was formally changed to the Toronto Builder’s Exchange before it was finally voted by members to be called the Toronto Construction Association (TCA), years later. Frank Decaria, who started his construction industry career in 1978, spoke about seeing people get smarter over the span of his career. 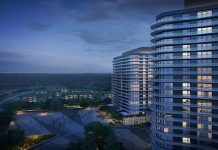 Source: TCAconnect.com (Toronto Construction Association).